20th Century Fox has hired Shane Black to write, produce and direct a Predator reboot. Shane Black will first write an initial outline laying out the story, before Fred Dekker, Shane Black's old college friend and co-writer of The Monster Squad, takes over screenwriting duties. Shane Black will oversee the entire writing process. Shane Black, who was considered an early screenwriting phenom for his Lethal Weapon and The Monster Squad scripts, actually had a minor role as Hawkins in the original Predator. He was initially asked to rewrite the Predator script. After turning down the job several times, 20th Century Fox offered him the role of Hawkins, which he agreed to take on. Upon arriving to the set in South America, he was asked to take a look at the script, but he still refused to work on it. John Davis, who produced the original Predator with Joel Silver and Lawrence Gordon, will produce this new reboot, with 20th Century Fox's no_person Matt Reilly overseeing the project. Shane Black is coming off directing the blockbuster Marvel Phase Two sequel Iron Man 3. He also has a number of other projects in development such as Doc Savage, which is reportedly grappling with budgetary issues, although the filmmaker recently met with Chris Hemsworth for the title role. The filmmaker is also setting up The Nice Guys, which we reported earlier this month has Russell Crowe and Ryan Gosling attached to star. The project doesn't have a studio home at this time, but it could begin production this fall. Predator, which starred Arnold Schwarzenegger and Carl Weathers, earned $98.2 million worldwide in 1987 from a $15 million budget. 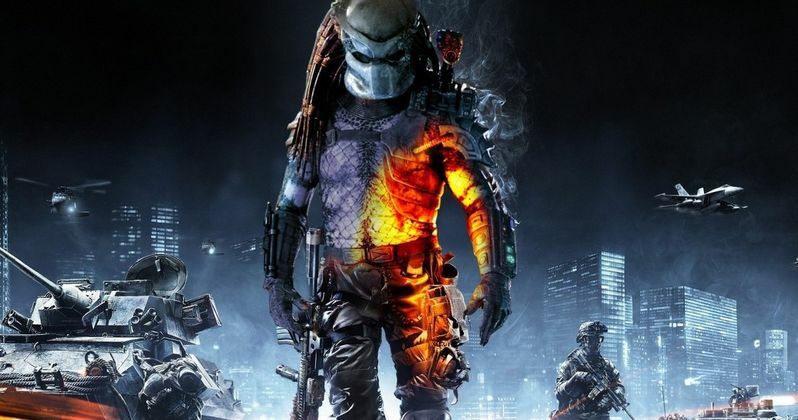 The original spawned the sequel Predator 2 and the 2010 installment Predators. The title creature also appeared in 20th Century Fox's Alien Vs. Predator and Aliens Vs. Predator - Requiem.